Journalist Ta-Nehisi Coates has been hailed as the James Baldwin of our times—a thoughtful African American essayist and social critic. His 2014 article for The Atlantic, “The Case for Reparations,” set the magazine’s record for website traffic in a single day, garnered major journalistic awards, and distinguished Coates as one of the most penetrating, provocative, and poetic commentators on race and justice in America. Whether or not you agree with him, Coates represents a major voice in the discussion that shouldn’t be ignored. And you know now, if you did not before, that the police departments of your country have been endowed with the authority to destroy your body. . . . I tell you now that the question of how one should live within a black body, within a country lost in the Dream, is the question of my life and the pursuit of this question, I have found, ultimately answers itself. In the post-Michael Brown, Eric Garner, Freddie Gray era we have been reminded that injustice is not a mere a philosophical abstraction. It has always shown up in tactile ways—in the “plundering” of actual bodies from the auction block to the cell block, the strangling of real throats, the breaking of real backs, the spilling of real blood. Coates is not a Christian, yet he has put his finger on something Christians have always recognized: the physical costs of sin. After all, it was Abel’s blood that cried out for justice from the ground, and it is Christ’s blood that cries out for mercy from the cross (Gen. 4:10; Heb. 12:24). I, for one, am glad for another serious reflection on the physical costs of racialized sin in America, and for an unfiltered testimony from the B-side of the American Dream. In a society obsessed with self-exoneration, which fiercely protects “the Dream” on the one hand and yet fiercely denies its existence on the other, we need an honest account. That alone is worth the cost of the book. Spiegel & Grau. 176 pages. $24. Although Coates knows how to point out problems, he offers few solutions and even less hope. In fact, hope (especially religious hope) is something he self-consciously avoids. Rejecting the theological legacy of the civil rights movement (and its most famous dreamer, Dr. King), Coates insists there is no moral arc to the universe that bends towards justice. The lives of slaves, he says, were not “chapters” in redemptive history. According to Coates, the ultimate meaning of black suffering is found precisely in the struggle itself. Our bodies and our struggle to protect them are our most essential resources, all we really have. Coates prefers “struggle over hope”—especially the kind of hope that leads to putting one’s body in harm’s way before Bull Connor’s firehoses. Moreover, he fears that too much hope engenders social passivity and undermines the struggle. So Ta-Nehisi Coates adds his poetic voice to the list of black humanists such as the late William R. Jones and Anthony Pinn who have offered similar, but more theologically developed, critiques. Coates’s humanistic criticism, however, misses the point and misunderstands important aspects of our history in the process. In the best of the black church tradition, hope and struggle have never been in competition. Rather, redemptive hope was the engine that drove, sustained, and guided the struggle for freedom. Beneath the sweltering sun of Southern cotton fields, slaves shouldered on with the hope that the omnipotent God could “make a way out of no way” and somehow bring redemptive good out of suffering circumstances. Redemptive hope forged the spirituals, fueled the underground railroad, and gave the freedom fighters of the 1960s the courage to keep coming back to segregated lunch counters—to risk the safety of their bodies then for the freedom of our bodies today. Precisely by keeping our eyes on the prize, we have kept our hands on the plow. So we cannot give up hope. The freedom of our bodies depend on it. 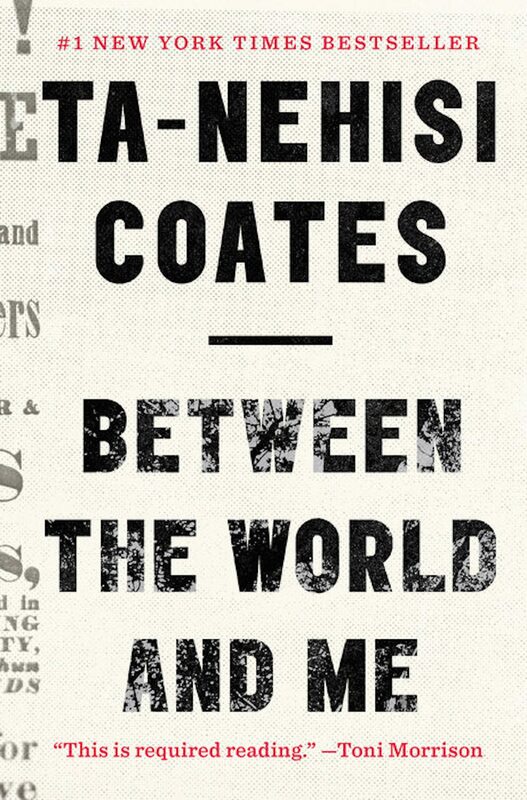 As I mentioned, whether or not you agree with Coates, you should read Between the World and Me. Learn from his honest, earthy account as a black man coming to terms with the tidal wave of racial injustice set against him. Take his statements about the physical toll of black suffering and his questions about the meaning of black suffering seriously. But then recognize that there are also hopeful answers to the questions he raises that go back at least 250 years. Most often without the benefit of formal theological training, enslaved and oppressed black believers wrestled deeply with life’s hardest theological question, the problem of evil. Their answers take the form of prayers, sermons, spirituals, humor, and activism. They offer one of the most important theological legacies of the American church. And if ever we needed a hopeful articulation of God’s purposes and promises in suffering, it’s now. If ever we needed a clear direction for how to engage our suffering to the glory of God, it’s at this moment, in the wake of Trayvon Martin, Michael Brown, Freddie Gray, Eric Garner, John Crawford III, Tamir Rice, Sandra Bland, the Charleston Nine, and on and on. May God grant it. Editors’ note: Tune in on November 24, the one-year anniversary of the Ferguson verdict, as The Gospel Coalition hosts a webcast conversation between St. Louis pastor Darrin Patrick and professional football player Benjamin Watson, author of the new book Under Our Skin: Getting Real about Race—and Getting Free from the Fears and Frustrations that Divide Us. Afterward Watson will be answering audience questions via Twitter.